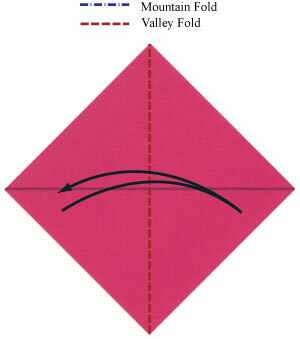 Valley-fold in half horizontally and then unfold. Prepare to valley-fold in half vertically and then unfold. Valley-fold in half vertically and then unfold. Prepare to apply a "cushion-fold" to the paper. Please study the link throughly so that you understand what "cushion-fold" is.